Vik Muniz has been described as an illusionist. He is interested in the layers of representation and displacement inherent in photography and in other artforms, and creates photographs of drawings of other images. His ‘drawings’ however are not made from traditional materials such as charcoal or pencil but from substances both more mundane and more exotic. 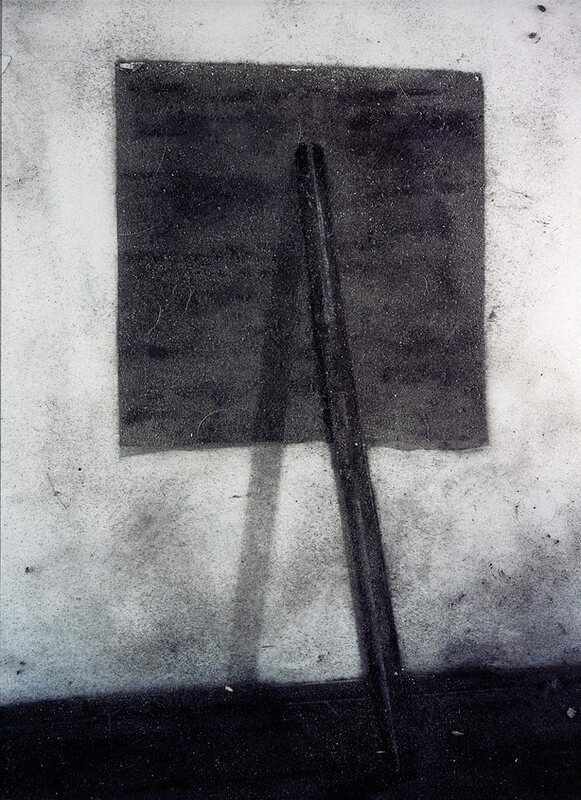 These sometimes have a material relationship to the subject depicted, however tenuous: ‘Richard Serra, prop, 1968 ... (picture of dust)’ was created from dust collected from the gallery in the Whitney Museum of American Art where Serra’s sculpture was exhibited. And sometimes they do not seem to have any connection with their subject matter, as in the versions of old master paintings and well-known photographs he made from chocolate sauce which were photographed to become the ongoing series ‘Pictures of chocolate’. An earlier series, ‘Aftermath’ 1998, is a politically sensitive series of photographs of drawings done by Muniz. The drawings in turn were based on photographs Muniz took in his native Brazil of street children who were extremely vulnerable but with whom he established a relationship of trust and collaboration. He invited the children to find images they identified with in books on art history and then asked them to pose in the position of the principal figure in the selected painting. The photo-graphs appear from a distance to be highly detailed, traditional drawings but on closer inspection it becomes clear that the materials are far from conventional. For the ‘Aftermath’ series Muniz collected street sweepings left over from the carnival in Rio and scattered them onto a light box. He then skilfully dusted and vacuumed part of the material away to leave a convincing replica of his original photograph. The process itself is highly suggestive, while the materials of dust and scattered sequins lend a forensic quality to the images. Jean Dykstra', Art on paper , 'Dust to Dust', Unknown, Mar 2001-Apr 2001, (illus.). Grace Glueck, The New York Times , 'Why, It's the stuff of minimalism: giving the dust mote its due at the Whitney', New York, 02 Mar 2001, E40. Jerry Saltz, The Village Voice , 'Dust to Dust', New York, 27 Mar 2001, 75 (illus.). Wayne Tunnicliffe, Contemporary: Art Gallery of New South Wales Contemporary Collection , 'Reality bytes', pg.382-423, Sydney, 2006, 410, 411 (colour illus. ).